SA complies with AfCFTA requirements - SABC News - Breaking news, special reports, world, business, sport coverage of all South African current events. Africa's news leader. For the agreement to take effect a minimum of 22 countries must ratify the agreement. 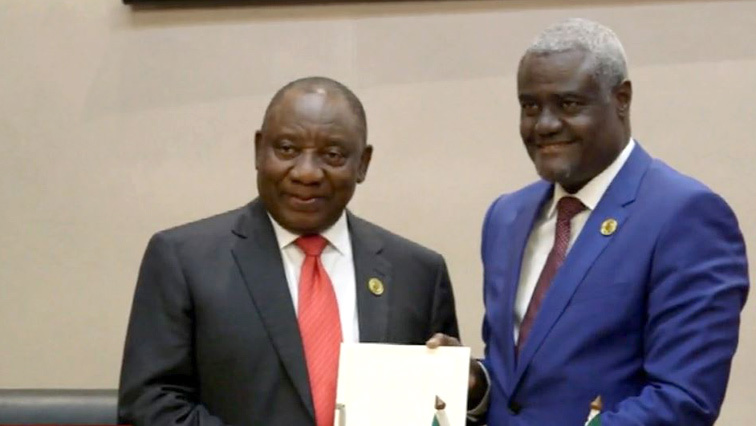 South Africa has fully complied with the requirements of the African Continental Free Trade Area (AfCFTA) after it deposited its instruments of ratification at the African Union. This now brings to 17 the number of countries that have ratified the agreement. For the deal to take effect a minimum of 22 countries must ratify for the agreement to take effect. The AU believes South Africa being one of the continent’s largest economies will be able to contribute to the much needed continental integration. Meanwhile, President Cyril Ramaphosa held talks with Ethiopian Prime Minister Dr. Abiy Mohammed. Ethiopia has recently been in the news for what many term as political reforms at a time when the country is also seeing an economic boom. The President also met UN Secretary General Antonio Guterres. South Africa is currently a non-permanent member of the UN Security Council and will in 2020 chair the AU. This entry was posted on 10 Feb 2019,10:08PM at 10:08 PM and is filed under Africa, Homepage Featured Story Slider. You can follow any responses to this entry through the RSS 2.0 feed. Both comments and pings are currently closed.